SteelSeries Apex is designed to give you everything you want and more. With sleek lines and style, the Apex leaves nothing to be desired. 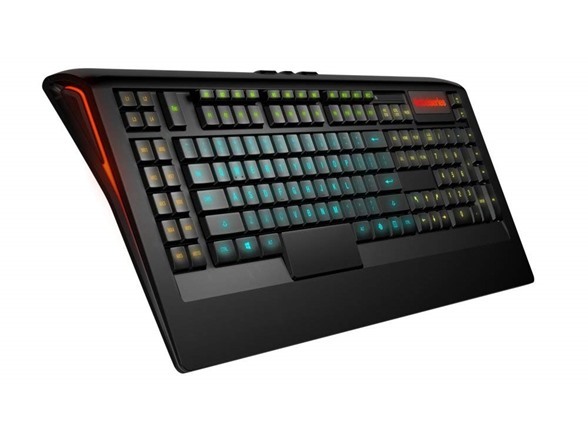 Enjoy 88 more ways to win with 22 macro keys each capable of up to 4 macro layers. 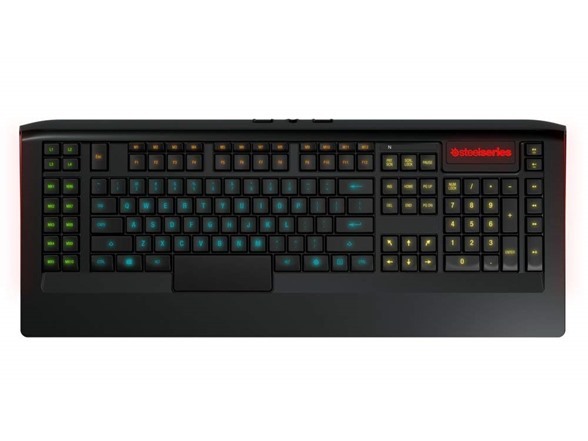 SteelSeries Active Zone lighting delivers 5 independent color zones, each capable of 16.8 millions colors for style and function. Set unique colors for each of your macro layers enabling you to not only recognize your current layer faster, but also locate groups of keys with ease. The Apex also includes a few extras like integrated USB hub, independent media keys, and a braided nylon cable. 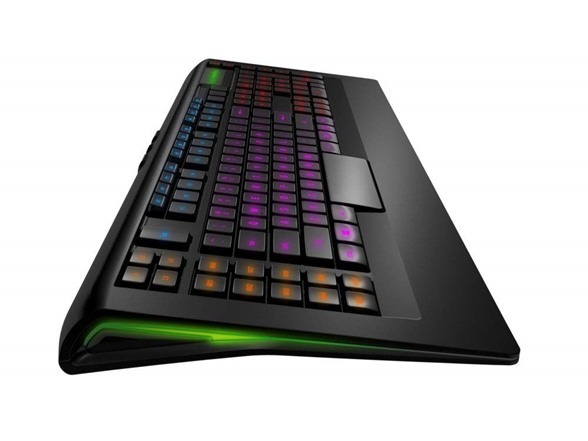 Apex is made up of sleek lines and low-profile keys that bring together beautiful form and optimized function. Featuring 16.8 million color illumination in 5 independent zones and 8 levels of intensity that you can configure differently for each of your macro layer, for endless customization. Independent media and volume keys provide instant access to media control. 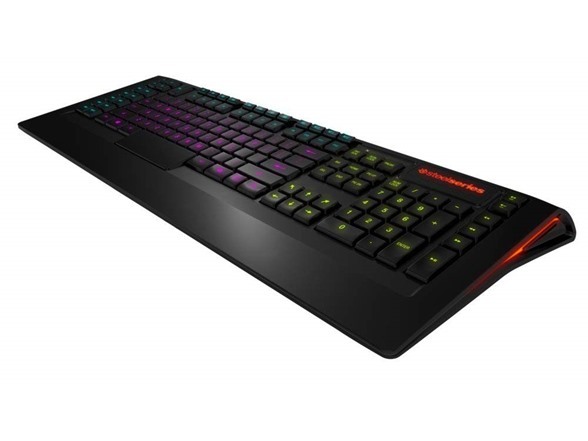 The SteelSeries Apex gaming keyboard supports anti-ghosting for 20 keys located in the most-used gaming areas on the keyboard. Out of these 20 capable keys, users can press up to 6 of them simultaneously, allowing those key presses to register and without locking the keyboard. There’s no need to install software of any kind in order to use the Apex. Without software many features will work including disabling of the windows key and more. 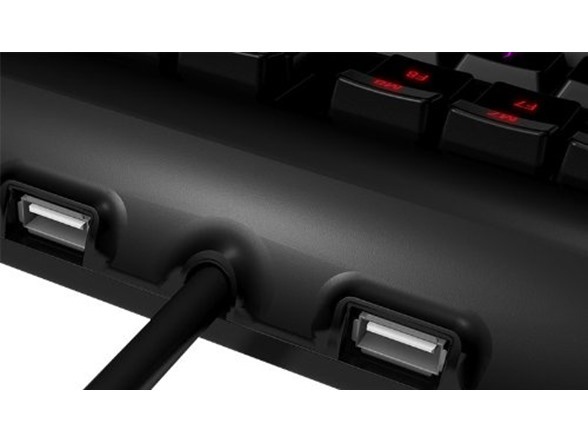 However, for the full experience and for the gamers who want really advanced customization options, the Apex is supported by SteelSeries Engine technology.